Expect to get emails, text messages and even phone calls with incentives to get your student to commit once they’re accepted. Photo of an actual award letter sent to Sabrina’s child. 1. Students have until May 1st to decide. 2. **Housing is guaranteed for freshman** (this is not true at all schools, if it is at your student’s school, take advantage of it). 3. 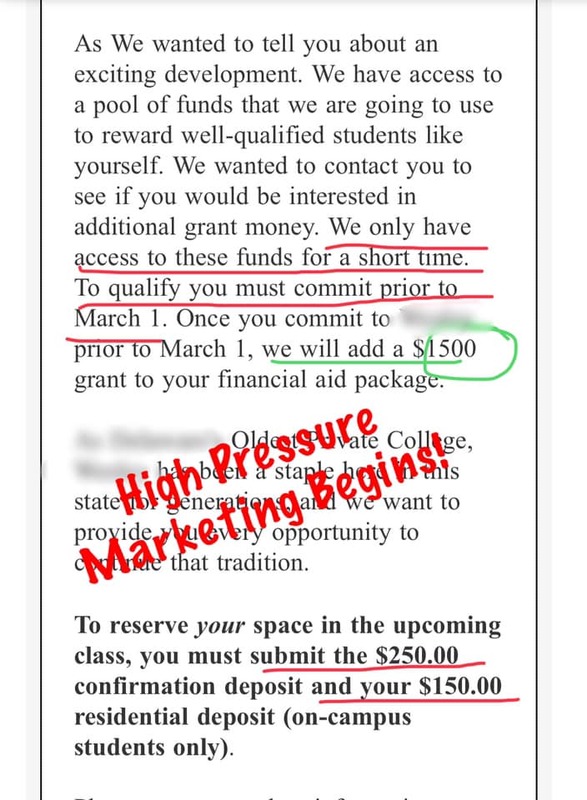 On or just before May 1st – “additional funding” tends to suddenly become available at various colleges (usually private) that aren’t meeting their enrollment quotas. If your student can hold out and not accept an admissions offer till May 1st, he has the chance to be offered more money from colleges that really want him. May 1st is when some colleges reach out to their list of accepted but not-yet-enrolled students offering more funding. My oldest was unexpectedly offered an extra $2,000 per year renewable from one college – and a whopping additional $4,000 per year renewable scholarship from another college – just around the time of Decision Day. 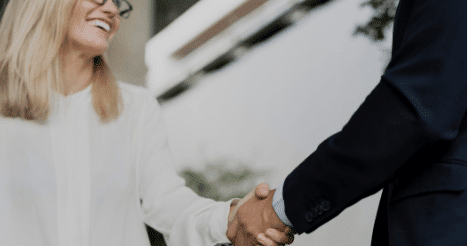 Of course the chances of being offered more money from a college depends on some factors outside of your control – the college’s available funding and their enrollment yields. But you can control when you commit! Consider the tactic of keeping yourself “on the market” for a while – even if you already know where you’re going to enroll. You’ve got guaranteed acceptance through May 1st, and if you also have guaranteed housing, there’s very little downside to waiting. But there could be a significant financial upside for waiting. Remember, with so many students accepted to sometimes over a dozen colleges, schools have to pull out all the stops to get students to actually enroll in their college versus another. The power dynamics shift after you’re accepted, yet uncommitted. THEY may need YOU more than you need them! Especially if they don’t have an extensive waitlist to pull from. It will be very interesting to see how all this plays out.